Life without technology and keeping all your data without portable external hard drive is not easy. When it comes to portability, you don’t have any better option than using external hard drive. External hard drive is an essential part of your life if you need high storage. Whether you are a professional who needs lots of word files and power point slides or you are fond of movies and songs, then internal hard drive is not enough for you. When an internal hard drive gets full, your PC start becoming slow. It is a major problem if you are a professional. Apart from space, external hard drives provide portability. If you ever need to transfer data from one place to other, you can’t carry your internal hard drive with you because it needs a very complex mechanism. A USB Drive provides a solution but only for small levels. Once your need exceeds 100 GB, then external Hard Drive is the best option for you. It provides durability, reliability and is easy to use. External Hard drive is the best option when you use it as a backup storage device. 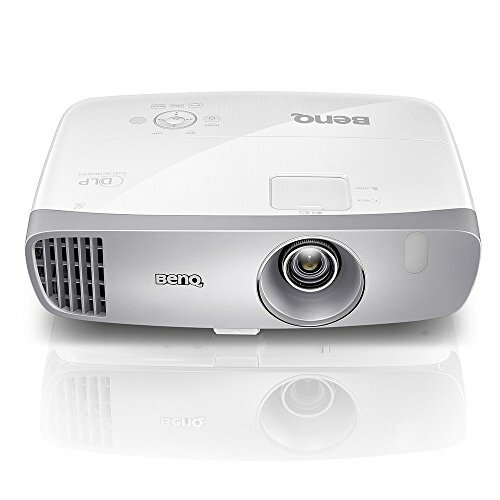 It offers high speeds and low cost as compared to CDs or DVDs of the same size. The speed they offer is also superb. Almost all of them have a transfer speed of over 100 MB’s per second. They are easy to connect, and portability makes them best for professional use. All These drive we review are not for everyone. You must find yourself the one which suitable and affordable for you. Some of them are high in price, but they also give you quality. The first one come in our list is Samsung. You may be thinking Samsung are only pioneer in mobile phones but guess what this company has major tech product in the industry, like TVs, Cameras, Routers and other Tech related products. We live in a mobile era where people had to go from place to place and can need their important data anytime. This Portable Hard Drive is designed specifically to meet daily requirements. It offers a storage capacity of up to 500 GB and is small in size. Its stylish palm-sized design makes it easy to take all your important data with you. The 500 GB is more than enough for every professional, and thus you invest more in quality rather than quantity. This powerful drive offers very high transfer speeds. With up to 450 MB’s per second transfer speed, this drive is up to 4 times faster than a traditional 2.5 inch HDD. Another important factor is its little weight. This portable SSD weighs less than 2 ounces making it easily portable. Price becomes an essential element when it comes to Solid State Drives. But Samsung T3 portable SSD comes with the perfect price. Small in size, big in memory – The drive was built strong and light. It makes it easily portable. The drive allows you to store and access vast amounts of data. It has a total capacity of up to 500 GB which is perfect for every professional. All of your Excel and Word files, PowerPoint slides and many types of data can be easily accessed whenever you need it. This sleek SSD fits comfortably in your pocket. This way you can take all your data with you. No matter where you go, this portable and lightweight SSD will be with you offering high storage spaces. Transfers Large Amounts of Data in Moments – This SSD provides you blazing fast speed. Whether it is reading or writing, the drive speeds up to 450 MB’s per second. This high speed allows you to transfer data in seconds. Offering 4x faster speed than traditional portable hard drives, this SSD raises the bar of speed and capacity in portable storage. One thing to note is to use a USB wire which supports 3.1. Otherwise, you will get slow speeds. Compact, lightweight design – The Samsung Portable SSD weighs less than 2 ounces. With this much less weight, it is roughly the same size as a business card. While delivering next-level speed, capacity, durability, and connectivity this drive has not made a compromise on size and design. Making it perfect for your use. V-NAND Technology for Enhanced Performance – This SSD uses Samsung 3D vertical NAND technology. It increases density, performance, and efficiency while creating a smaller footprint. This revolutionary technology lets SSD T3 hold a significant amount of data while keeping the size as small as possible. 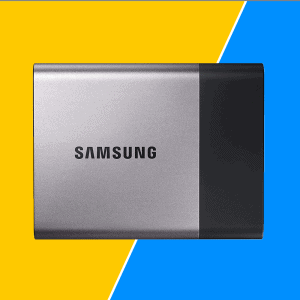 Compatible with Multiple Operating Systems and Devices – This Samsung T3 SSD features USB 3.1 Type-C connection port. It offers ultra-fast speed that is suitable for your use. Also, it makes your T3 SSD compatible with all the latest devices. 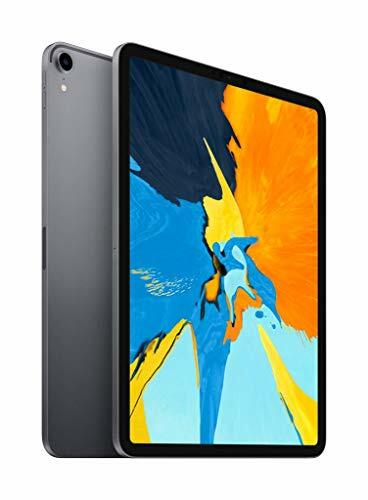 It includes Windows ultrabooks, Mac Books, Android tablets. This SSD is also compatible with many latest smartphones. While 3.1 offers blazing high speeds, this portable SSD also works with older devices supporting USB 2.0 ports. 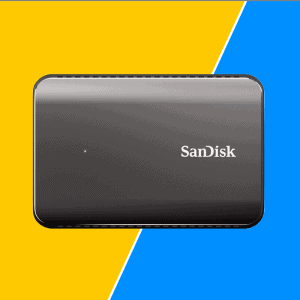 No matter what device you had, this SSD T3 will provide high-quality portability for all your files. In Solid State Drives, there are no moving parts. Information is, therefore, stored in microchips. On the other hand, a mechanical arm is used in a hard disk drive. It has a read/ write head to move around and read information from the right location. Information is stored on a storage platter. It is what makes SSD so much faster than HDD. Apart from this, the data stored is much safer on an SSD than on HDD, making it more reliable. Seagate Backup Plus Slim is for digital purposes. Its large size of 2 TB is heaven for movies and music lovers. It provides an easy way to protect and share all your digital files and folders. The 2 TB space is enough to keep most of your important files. 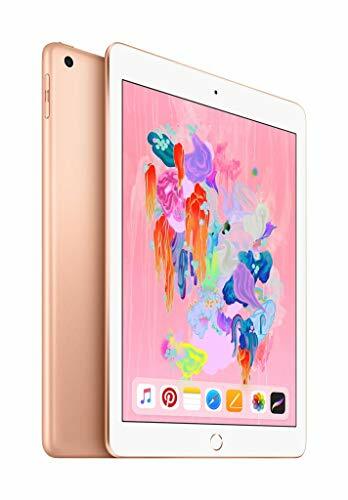 It also has a sleek and protective metal finish. The metal finish is available in different colors. These include classic black, silver, red, and blue. Millions of customers of Seagate are satisfied with this product. It is most popular and trusted portable drive by Seagate. Backup Your Stuff_ Anytime, Anywhere – The ultimate aim of any external hard drive is to provide a backup for all your data. This backup plus slim portable is the simple and one click way to protect all of your files. It provides a safer place to protect and share your entire digital life. The drive is 12.1 mm thin and has up to 2 TB capacity. With this much space, it is your new digital home. Easy Manage Your Favorites Wherever – The Seagate Portable Hard Drive provides an easy backup to all your data. These include photos, movies, and videos. These are backed up using the downloadable Seagate Dashboard software. Apart from your files, Seagate also provides backup for other data too. Things you shared on Facebook, Flicks, and YouTube is also backed up easily. This disk comes with two ways of backup. You can either backup your data by running a one-click backup or can schedule an automatic backup plan. It helps to protect all your files on your Backup Plus Slim Portable Drive. Once backed up, they are managed simply and can be easily accessed for future use. Plug-and-Play High-Speed Connectivity – The hard drive comes with a High-speed USB 3.0 and 2.0 connectivity. It means you don’t need an external power source to power it on. It meets the necessary power requirements through the power cable. This plug and play functionality will auto start the hard drive when plugged into your PC. Speed and warranty – The drive comes with a 2 year limited warranty. It means if any manufacturing fault occurs or it quits, the company will replace your drive with a new model. Since it is HDD, the speed is not that much fast, but the speed it offers is also excellent. With a transfer speed of 120 MB per second, this hard drive provides better than other competent. A portable hard drive is one which operates using a USB cable. This type of hard drive is very easy to use. If you have a laptop, then you can use this hard disk anywhere, and everywhere you go. External hard drive, on the other hand, uses an AC outlet to power them on. They need more power to start, and thus an electric socket is required for them. While using them, you are always in need of electricity to let it power on. 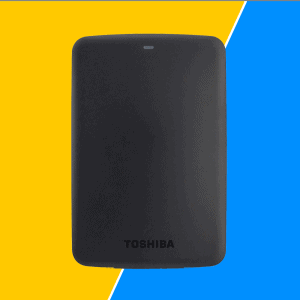 This 1 TB External Hard Drive features fast transfer rates. With huge storage capacities and a unique three-layer shock protection system, this hard drive is an ideal storage device. It can be used as a storage for daily backup and file transport. Incredible Ultra High Speeds – The Store Jet M3 portable hard drive is equipped with USB 3.0. USB 3.0 is a next generation SuperSpeed interface. It provides very fast transfer speeds. When compared to USB 2.0, the new interface provides at least 2X faster speeds. It makes file sharing much easier and quicker than ever. Its Ultra High speed of about 90 MB’s per second seems just perfect for larger files sharing. Military-Grade Shock Resistance – Safety is what, on which many users don’t accept compromise. One can’t see his/ her data to be damaged because of any reason. Any replacement or apology means nothing for the user once he loses his relevant data. This drive is the best option for such users. This external hard drive is compact, much durable and very reliable. It is shielded by an advanced three-stage shock protection system. It helps withstand in even the toughest user environment. The material used is very protective in nature. The outer shell is made of a slip-resistant silicon material. It is still reinforced by a solid casting and an internal hard drive suspension damper. All of these are designed such to reduce forces of impact. This design provides maximum shock absorption and keeps your files safe for long. One Touch Auto-Backup Button – The Store Jet M3 is equipped with an extremely convenient One Touch auto-backup button. It is used to backup data instantly. Also, does synchronization when used with Transcend Elite Software. Using it is very easier. I don’t find a way much easier than to just connect the hard drive using USB 3.0 port. Files are just dragged and dropped to and from the device. Its simplest way is attracting more and more customers. Another advantage of using Store Jet 25M3 is its supportive nature. It supports Microsoft Windows 10/ 8/ 7/ Vista/ XP. Max OS X and Linux systems are also supported. What else do you need if I tell you it is compatible with USB 2.0 port? Backing up data was never easier than this. 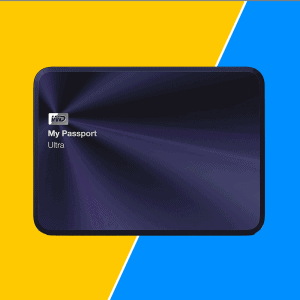 The My Passport is a trusted portable drive. It is used to store a massive amount of photos, videos, and music. These are having sleek styles and fits comfortably in the palm of your hand. These are designed so you can take your treasured content everywhere. 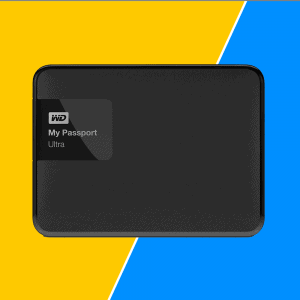 WD brings you the My Passport Ultra. It is a sleek and powerful device. This portable hard drive offers 1 TB of storage. Additionally, it also has an option to use cloud backup with Dropbox. This Ultra-Portable Hard Drive is fast and provides easy connectivity using its USB 3.0. It provides fast speed data transfer. It is also compatible with the old USB 2.0, so if your device doesn’t support new version, you still can use this External Hard Drive. Massive capacity in the palm of your hand – In past hard drives were very large. People had to book individual vehicles to carry them from one place to another. As time passed, the size started shrinking more and more by the use of advanced technologies. Living in the modern world, portability has an important significance. People prefer things having smaller size and larger applications. This Palm-sized Hard Drive provides you a fantastic 1 TB size. Being small in size, it offers easy portability. All of your necessary data and the personal gallery is with you anywhere you go. Protect what’s important – We live in a technology era. Many of our components don’t have any physical existence. It is always a major concern for people nowadays. There is much expensive software which claims to back up your data. But this WD 1 TB Hard Drive has its built-in backup software. This software makes it easy to protect your important files, photos, videos, and music. There is an option available through which you can schedule an automatic backup. Keeping data safe was never so easy. Apart from built-in backup, this drive also comes with cloud backup. With this, you can backup your important data on Dropbox and can access it anytime, everywhere. Secure your Stuff – Having important data was never so easy. Of all the disadvantages which technology offers, this is the main problem. Many times one’s personal data is, or own account is hacked. In the case of stolen or misplaced, you are always worried about your important data and its security. This Hard Drive comes with its 256-bit AES hardware encryption. It helps protect your content by setting a password. Quickly protecting your data, this does not affect the performance of the drive. You get the best performance no matter protection is enabled or disabled. 3 Year Limited Warranty – Nothing is perfect in this world. There still occur certain errors during usage. To provide you best services, this hard drive provides a 3 year limited warranty. If any technical error occurs within this period, your drive will be replaced with a new one. 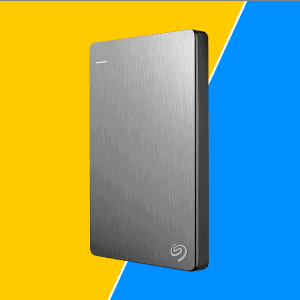 The Seagate Expansion portable drive provides 2 TB storage. It is for your ever-growing collection of files. By using the portable drive, you can easily add space for more files or consolidate all your files to a single location. It also helps to free space on your computer’s internal drive. It helps to improve the performance of your computer. Setup is very simple and easy. Just plug in the included USB cable, and the drive is ready to use. Since Windows automatically recognize the drive, there is no need for any software assistance in installing this drive. Saving files is also very easy. You just had to drag and drop files there. With the USB 3.0 speed, transferring data becomes very quick. Storage to Go – Sometimes one need extra storage. It is necessary when you have many files, and your data exceeds the limit available. But many times you don’t need extra space. What you need is portability of data. USB is a good choice, but it too has the limited size available. If you are a movie lover or a person who is fond of listening songs, then a storage of 128 GB is too less for you. You need portability and also size. In this situation, External Hard Drive is perfect for you. Providing a storage of 2 TB and portable in nature, this Hard Drive is likely to meet all of your digital requirements. Ready to Use – Complex installations are a headache for everyone. Using service is difficult when it involves large installations. Sometimes it includes some software which is not compatible with your device. In other cases, the installation might stick on 90%, and you find yourself standing nowhere. In any of the above situation, the service itself needs a service before using. This external hard drive solved issues for you. It doesn’t require any installations or any pre-installed software. The drive is ready to use. You just had to plug it into your USB port and start using your external hard drive. While keeping in view the difficulties of a common computer user, all the important software are provided built-in. You just had to connect it and extend your storage. USB 3.0 and 2.0 Compatible – While 3.0 offers a revolution in speed, USB version 2.0 is still in use at many places. The drive comes with USB port 3.0, so it offers high-speed file transfers. In cases, it just took 17 mins for the drive to transfer 3 games having 100 GB size. The speed of 3.0 and simplicity of 2.0 are combined in this drive. If your device is 2.0 supported, then you don’t have to worry. This external hard disk is compatible with your device and can be used as simply as others. But if you have a device using 3.0 port, then this drive will offer you what speed is all about. The internal hard drive provides built-in storage at top speeds. It needs to be installed physically on your computer. All of your files and programs are stored directly on your computer. They are always located where they were left. In contrary, external drive gives you flexibility. Also, it provides expanded storage whenever you need it. External drives are connected to the computer via plug through cables or wirelessly. It enables you to take important files with you. You can transfer them to other computers or add storage to your PC without any technical issues. Ultra-Fast Transfer rates – When connected to port 3.0, this passport slim offers you blazing speed. It gives quick access to all your files and provides fast speed. When compared with a USB 2.0, this drive gives you the speed of up to 3X faster. Automatic Backup Software – Protect user data is the core responsibility of any drive. WD Smart Ware has an automatic backup software. It works quietly in the background to help protect your data. It has two different options to back up your files. These include automatic and scheduled backup. In the automatic backup, you can instantly back up all your files while for the schedule the backup is pre-scheduled. The drive will back all your files up on scheduled time. Local and Cloud Backup – External hard drives are used to backup data. These are widely used to carry data from one place to another. While the drive itself offers 1 TB data backup, it also has a cloud backup. If you have a Dropbox account activated, you can easily back your data there too. Data on Dropbox is useable anytime anywhere in the world. Thus you get complete control of your data. Works great with Windows 10 – Windows 10 is the latest and the most user-friendly product by Windows Operating System. It has an interface that is best suitable for users. Its graphics and folder placing are superb. The built in Cortana App is there to guide the user anytime. Many users nowadays run pre-verified Windows 10. Because of it App friendly graphics, this drive works great with Windows 10. Using Windows 10, your content is automatically organized and placed so you can find it much easier. All of your data is displaced accordingly to make it easier to be found later. Managing an external hard drive was never much simpler. USB 3.0 and 2.0 compatibility – While USB 3.0 provides blazing fast speeds in technology, there are many devices which still uses 2.0. This slim portable Hard Drive is compatible with both types of ports. It means if your device has 3.0 then fast speeds are waiting for you. Otherwise, you will enjoy a nominal speed of around 40 MB’s per second using 2.0. Durable enclosure protects the drive inside – Data is always a priority for every person using any technology. That’s why there is no compromise. The user wants if he pays so much for the drive, then it must be durable and same is the case with this drive. It is built-in such a way as to provide maximum durability, shock tolerance, and long-term reliability. Extensive warranties are of no use once user misses his/ her important data. For this purpose, the drive is protected with a durable enclosure to provide maximum safety. By using this drive, you won’t worry about the security of your data. Apart from this, a soft pouch is also included with the package. This bag makes it safer to transfer the drive from one place to another. USB Powered – Technology has advanced and so the life standards of people too. No one likes to sit in front of Desktop Computer for hours. People use laptops and Notebooks to carry all their important data with them. Keeping in mind the ease of users, this drive is kept USB powered. It means you don’t have to look for an AC outlet to power this drive on. It consumes very less power and takes it using USB cable. Suppose you are at the airport and don’t find any socket there. Just operate your Notebook and connect the drive using USB cable. It will start working perfectly. It is designed to provide maximum assistance to the user. Toshiba is a world leader and innovator in pioneering high technology. At every part of history, Toshiba became the first to invent pioneer techniques. It is a diversified manufacturer and marketer of advanced technology. These include electronic and electrical products, spanning information and communication systems. There are Many other things that are also manufactured by Toshiba. Founded in 1875, Toshiba now operates a global network of companies. It has more than 740 companies with more than two hundred and four thousand employees’ worldwide. Its annual sales surpass the US $68 billion. Portable, plug-and-play storage – This hard drive is made mainly for digital purposes. It gives you all the storage capacity needed for important music and video files. With the size of 1 TB, it is capable of keeping all your data in one place. No matter where ever you go, this easily portable drive accompanies you. For large digital files, this drive is the best place to put them. It is directly powered through USB port on your PC. To operate it, you don’t need any additional software to be installed. It comes with the simple plug and plays operation. Toshiba understands that many times you won’t have access to a power outlet, so the hard drive is designed keeping this point. You just had to plug the drive into the USB port, and it will operate. It has USB port 3.0 which means it will offer fast files transfer. Along with this, it is also compatible with USB port 2.0. If your device doesn’t support the newer version, you still can use this device. 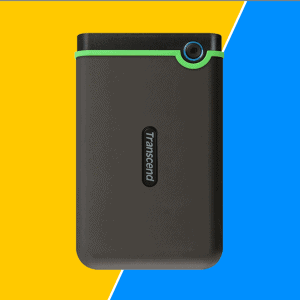 An easy traveler – This Portable Hard Drive is pretty small in size. You can easily place it in your pocket. It gives better portability than ever. No matter where you go, this easy traveler portable hard drive will be with you. It makes sure that none of your projects gets delayed ever because of portability. The small size makes easier to port it. On the go protection – It has an internal shock sensor and ramp loading technology. It helps to protect your drive from damage due to accidental drops. When falling from a height of up to 2 meters, it resists against any damage and all of your data remains safe. Toshiba is a world known company for manufacturing electrical goods. Its products have long-term durability and reliability. The trust of Toshiba, along with one-year standard warranty, provides you the most important thing i.e. peace of mind. It is the core responsibility of Toshiba that you will get the best product. Size is the main thing when you want to buy an external hard drive. It seems great to have a 2 TB Hard Drive, but it costs too much to buy such. In this condition, you had to decide your priorities. If you are a professional and all your requirements are word files or presentation slides, then 500 GB space is more than enough for you. You then need to invest more on quality, speed, and reliability. On the contrary if you are a music lover or a die-hard fan of latest Hollywood movies, the large size is what matters for you. In such conditions, it is advised to go for size as big as possible. It will make sure you don’t need another one shortly. This portable external hard drive provides a solution to all your problems. The massive size of 2 TB is what will prove enough for you. Along with this, it comes with USB port 3.0. It makes all data transferring faster from ever. It has a small, lightweight enclosure which making it ideal for portability. Big capacity in a small device – When we talk about the size of the drive we refer to the storage. 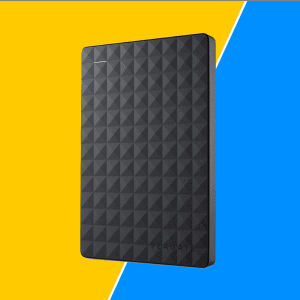 This external hard drive provides large storage of 2 TB. In past one had to compromise over storage because of huge size. It means if you want to have double storage space, then you should be ready to accommodate a large hard drive. Selecting among them was very difficult for many people. But nowadays the physical size of devices is shrinking. With the use of silicon chips, the technology has advanced up to an extent. More and more storage is now offered in small physical size. 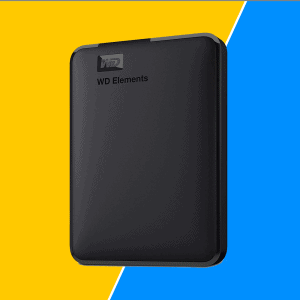 This WD Portable drive also aims same. With its large storage of 2 TB, it meets all your digital requirements. For any of your storage problem, this device proves to be the best solution. But the question arises about its physical size. The drive is very small and slim.The unique design makes it look beautiful. While giving huge storage capacity, nothing has been compromised on physical size to provide you best user experience. Improved PC Performance – If you are a movie lover or fond of playing games all the time, you better know what speed is all about. Full hard drive storage makes your PC slow. It starts stopping and the performance gradually reduced. This hard drive provides an alternate for the problem. Now keep all your data in this external hard drive and let your internal hard drive free. It will undoubtedly increase the speed of your PC and provide you with a better experience. USB 3.0/ 2.0 compatible – While USB port 3.0 provided solution for speed problems, 2.0 still is in use in many devices. People are using it, and there are many devices which don’t support port 3.0. For such diverse condition, this hard drive is a solution. Combining the speed of 3.0, it also works perfectly on port 2.0. It means you don’t have to worry about the system you own. The new LaCie Rugged is the perfect solution for everyone. Especially heavy-data users who require ultimate data security and mobility. It has USB 3.0 and Thunderbolt ports. It makes it one of the fastest bus-powered products ever. It features two-meter drop resistance and IP 54-level protection against dust and water. 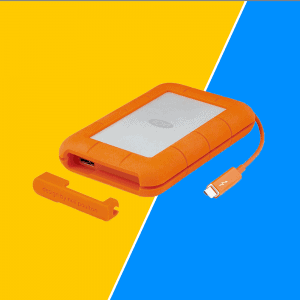 With all these features, the new LaCie Rugged goes even further to protect precious data. Check It Out. How LaCie can protect your data from hacking. These drive have high end protection. Tough in the Field. Fast Everywhere – This drive makes it sure you complete your projects on time. Anywhere you go, this drive can be carried with you. With its USB 3.0 port and Thunderbolt technology, it provides fast blazing speed. The drive makes sure you don’t have to compromise between size, durability, mobility and speed. With its small size, it is easily portable in nature. With total space of 1 TB, it is enough for all of your word files and presentation slides. If you are a music lover, a huge collection of music can be stored on this drive. No compromise on speed – In technology era, speed is everything. It matters in every field of life. Whether it is of transport or machinery, everywhere preference is given to speed. Human wants everything and every work to be done in fast speed to save time. This thunderbolt drive offers super-fast speed. With its USB port 3.0 and Thunderbolt technology, you enjoy the best transferring speed. It comes in both of the hard drive types i.e. SSD and HDD. In SSD version, the transfer speed it provides is around 387 MB’s per second. Though HDD version is a bit slower, it also stands fast among other competitors. Offering transfer speed of 122 MB’s per second, it is 35% improvement over FireWire 800. Through this speed, you can backup or transfer all your data in blazing speed. Universal Connectivity – This drive makes it sure that your projects won’t get delayed just because your devices are not compatible for any of the port. While USB 3.0 provides blazing fast speeds in technology, there are many devices which still uses 2.0. This Portable Hard Drive is compatible with both types of ports. Apart from these two, it also has a Thunderbolt available. Being perfect to connect with Mac and PC. While making sure you get best transfer speeds, USB port 3.0 makes sure you never find any connectivity issues between devices. Data Protection – Your data is irreversible. It means once it is lost it never can be found again. Particular attention is given to backup all of your data. It provides an automatic backup so will back up all your data from time to time. This hard disk comes with IP 54 which makes it water resistant. It means if you accidentally place it in a wet environment, then all of your data will be protected and no damage will be done to your data. The drive is also drop resistant. It means if dropped from a height of about 2 meters, it resists against any damage. All your data remains safe, and the device also keeps its condition. LaCie is shock resistant. It helps it cope with mechanical shocks. It bears any shock on it and keeps all your data safe. Your data is safe from any harm once placed on this drive. Though high in price, LaCie Rugged Thunderbolt provides you the best digital experience. Are you looking for ultra-fast speeds for your photos, videos or any other data file? The SanDisk Extreme 900 Portable Solid State Drive delivers very fast speed. It provides 9X faster speeds than any portable hard drive. 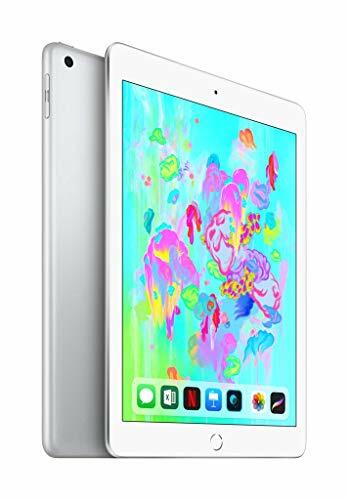 It has huge storage capacities to save all of your data. While coming in different ranges, it offers storage capacity of up to 2 TB. It is more than enough for your massive files. It provides faster access. Because of this, you can work directly on the drive more efficiently. The drive uses solid state technology to improve efficiency. It has no moving parts to break or overheat. It comes with SanDisk Secure Access encryption software. It helps to keep all your files private. If you are a professional and your livelihood depends on this data, then you can trust on SanDisk Extreme 900 Portable SSD. Faster than Fast – Time is money. Time is vital factor nowadays. People want to focus on work rather than just waiting for files transfer. The Extreme 900 Portable SSD comes with amazing speeds. With read and write speed of about 850 MB’s per second, it stands 9X faster than other hard drives. Even among SSD, this speed is 2X than that of others. It makes sure that you get quality service in less time. You don’t have to wait long for files to transfer. With the ultra-fast speed, your files will transfer in seconds. Big Ideas need High Capacity – If you are filming or editing 4K Ultra HD video, you need very high capacity. If you are a movies lover or fond of music, your storage requirement increases. Its capacity is enough to place high-quality images or large graphic files. By using SanDisk Extreme 900, you never had to worry about storage capacity. Elegant Outside, Resilient Inside – Try not to let the flat aluminum outside trick you. The SanDisk Extreme 900 convenient SSD is both temperature and effect safe. This way it’s prepared for highs, lows, and even the infrequent thumping blow. It’s what they do – For over 27 years, SanDisk has implied flash memory. Building best in class stockpiling answers for buyers and organizations alike is our business. Which is the reason proficient picture takers and videographers around the globe swing to us? For your Eyes only – While technology has many pros associated with it, it is also the truth that it contains certain cons. The most notable of it is stealing. Anyone can take your valuable personal or organizational data with ease. Since the data is included in a small drive, it is sometimes easy to misplace it. In any of the given condition, you feel worried about the security of the data. The SanDisk Extreme 900 convenient SSD offers encryption to secure your documents. It makes certain that nobody has entry to your substance unless you offer it to them. The drive only opens with your eyes or any eyes you have given access to. This top class security makes your peace of mind that no one can ever misuse your data. Compatibility and Warranty – The drive is compatible with Mac and PC. While working best with Windows 10, this also works fine with older versions of Windows 8.1, Windows 8 and Mac OS 10.6+. It is to make sure you never misses any update. Warranty is an important thing, in case your product get across some problem so that you can replace it. The warranty they offer is 3 year limited warranty. A hard disk drive is a non-volatile memory hardware device. It permanently stores and retrieves data on a computer. It is of two types i.e. Internal Hard Drive and External Hard Drive. Internal Hard Drive is fixed on the computer, and it is the main memory of the computer. Whereas External Hard Drive as the name states is attached from some external source, say USB port. An external hard drive is just an SSD (Solid State Drive) or HDD (Hard Disk Drive). It is connected to the computer on the outside. The traditional built-in hard drives are however connected on the inside. These drives draw power either over data cable or require an AC wall connection. When they take power over data cable, they are called portable hard drives. If you are not aware of these drives, then for once you can consider them just like a regular internal hard drive. The difference is that they have been removed and are covered in its protective casing. When using, they just require being connected from outside using a USB cable rather than inside. When it comes to portability, you don’t have any better option than using external hard drive. It provides easy connectivity and disconnection. Its small size lets you carry in your pocket. On the off chance that your PC is deficient with regards to space then video altering will be troublesome. It’s conceivable to have a few distinctive hard drives which you can use for various tasks. External hard drives are exceptionally adaptable and can be gotten distinctive limits. It’s likewise conceivable to buy a vacant walled in area for your hard drive which can then be fitted with any size of hard drive. External hard drives make utilizing a PC to store video documents significantly less demanding. Any individual who utilizes a desktop PC for photograph altering will find that an external hard drive will make their assignment considerably simpler. 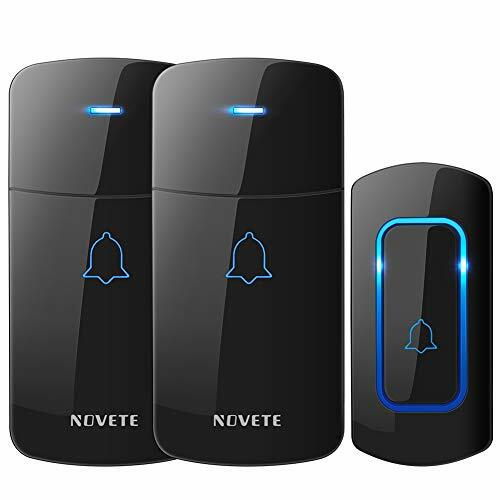 Although they have certain cons associated with them related to privacy of durability, when working with sizes like tetra bytes, these external hard drives are the must use devices. 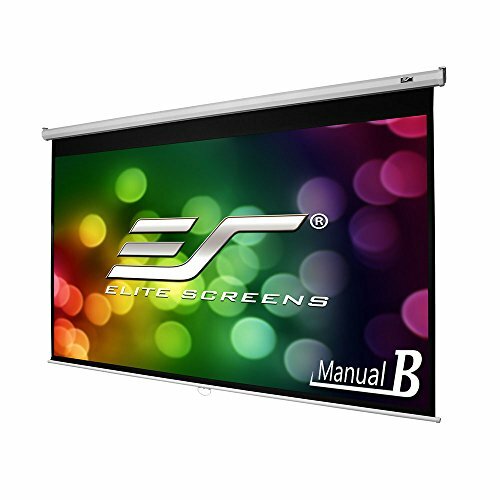 The size, speed, and portability which this offer is best for professional use. Considering how the market of Hard Disk is pretty saturated, finding the perfect Hard Disk is never an easy task. That’s when lists like these come into play. The list was carefully crafted, keeping in mind things like the needs of a customer and how much are they willing to spend on a Hard Drive.